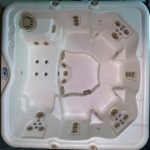 We carry Nordic hot tubs and accessories. Below is a preview each model available. CLICK HERE to view the complete brochure of all Nordic products.